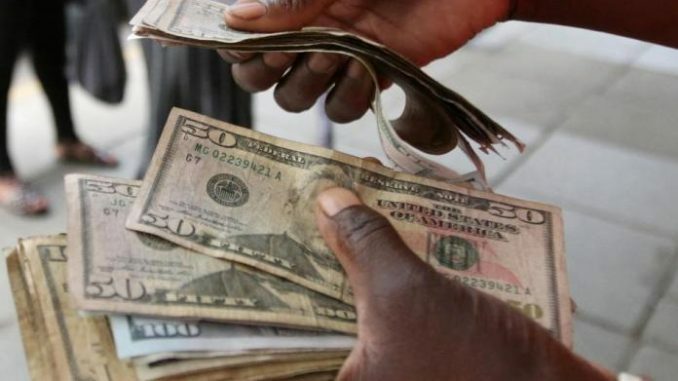 HARARE – THE Zimbabwean government has threatened to arrest parallel market dealers blamed for the skyrocketing prices of commodities and incessant shortages of cash. Threats come as the Southern African country faces its worst economic crisis in a decade, reminiscent of the era when Zimbabwe’s dollar currency came to oblivion. Zimbabweans have in recent weeks contended with shortages of food, fuel and cash among other basics. President Emmerson Mnangagwa blamed the current economic collapse on so-called black marketers. “Currently, we have no legislation to deal with currency manipulators. We therefore need urgent and robust measures to deal with this financial menace,” the Zimbabwean president said. accused of propping up the parallel market. Zimbabwean police have claimed to have arrested high ranking officials but their identity and charges have not been disclosed. Mnangagwa was elected on July 30 on a campaign premised on economic revival and curbing corruption. Economists have questioned the commitment to fight graft. “If our ministers were not involved in business while at the same time holding offices of authority, these problems would not have been here,” said an economist on condition of anonymity. Another economist in the capital Harare said despite Mnangagwa releasing a list of individuals and companies alleged to have externalized funds worth of billions US Dollars months ago, no arrests had been made. “These people are real crooks. Four months have gone by yet no one has been brought to book,” he said.